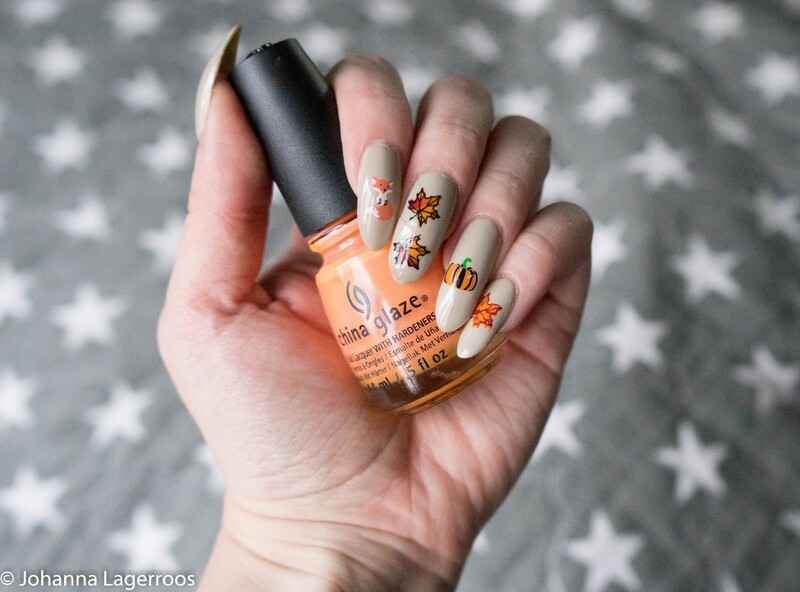 It's been a little while since the previous nail art post, right? Well, if you have been missing those, today is your lucky day as I'm sharing a new design with you. And in addition, I'm talking about some new products I got not too long ago. If that's something you're interested in, keep reading! Here are my first nails using Clear Jelly Stamper products. 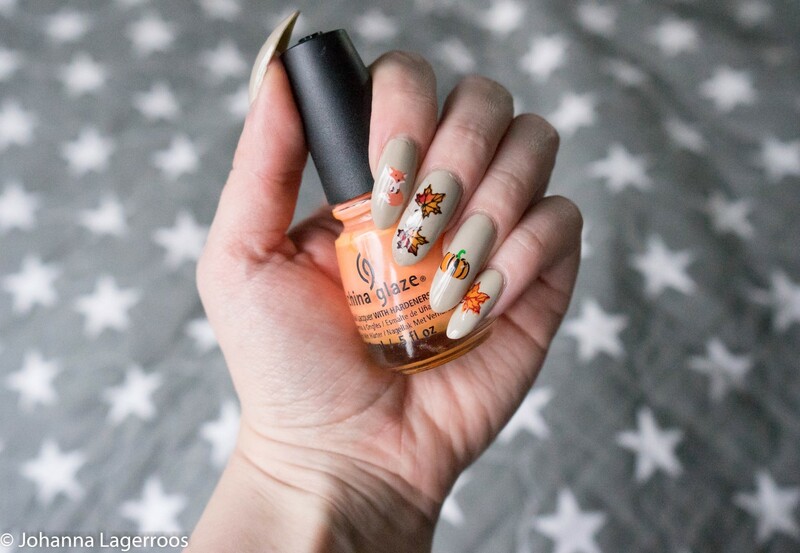 I bought them a while ago and actually created these nails during last month when I wanted to cheer myself up when life was getting me down. 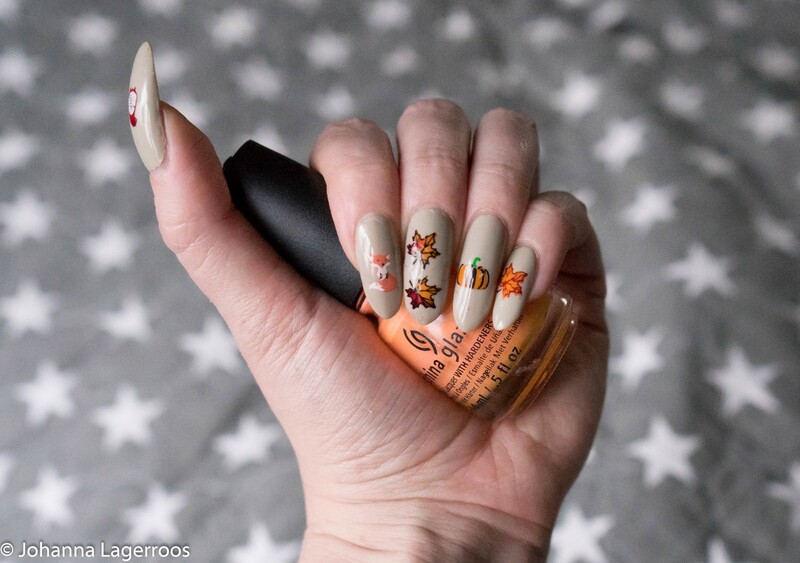 I figured that having cute images on my nails would help a little. Which it did. A little. Anyway, I enjoyed stamping more than ever, and actually had so much joy that even my boyfriend laughed at me. Apparently my child-like enthusiasm about it was hilarious. The thing I liked about Clear Jelly Stamper site was that they sell plates for layered stamping. This means that you can create more elaborate patterns as you can use multiple colors - kind of like they do in some printing where they go color by color to fill the pictures. And like the name says, the stamper from CJS is clear, meaning you can see where you stamp - I've had a bootleg version of it, but it's nowhere near as good as the real one. Of course this too takes a little practice to get perfect - mine certainly aren't - but I think even an inexperienced stamper can create gorgeous designs with that stamper. I think layering is what can take you to the next level when it comes to stamping. It can easily make your designs more intricate without taking too much time to create them. And that feels awesome to me. With this squirrel, I failed a bit. I didn't look up a reference picture from the web and ended up having the dots as a pine cone in its paws instead of locating them to its tail where they apparently belong. But then again, art is subjective so this is not necessarily wrong. The creature is cute either way. The polishes I used for this design were What She Dune? and If In Doubt, Surf It Out by China Glaze, 9 - Reddy For Anything, 22 - Clementine and 11 - Dolla Dolla Bill by Clear Jelly Stamper and Black and White stamping polish by Born Pretty Store. The stamping plate I used is called All About Autumn by Clear Jelly Stamper. 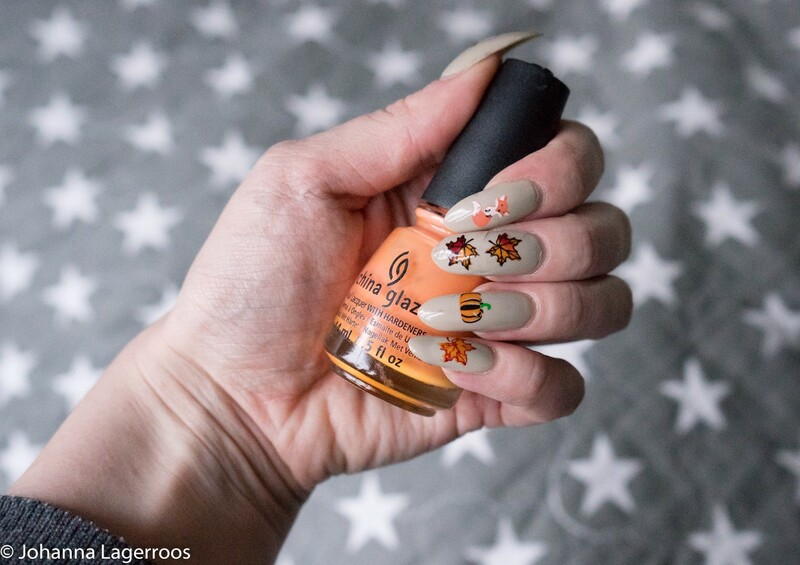 What do you think about these autumn nails? Let me know in the comments! That's all for this post, but I'll be back soon with more declutter (spoiler alert, we're facing my least favorite part of the decluttering so be sure to witness my suffering). In the meantime, make sure to check me out on social media, where I post daily outfits and more (@silvertigo) and this week, my nail account will show you mani I won't be sharing anywhere else so stay tuned there as well (@silvertigonails). 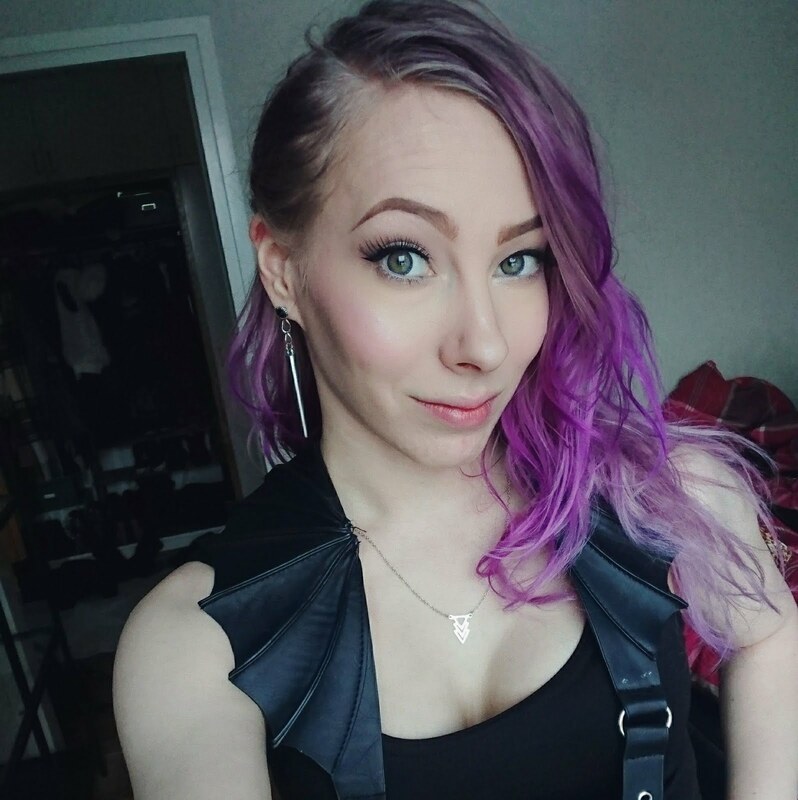 I'll see you in the next post!